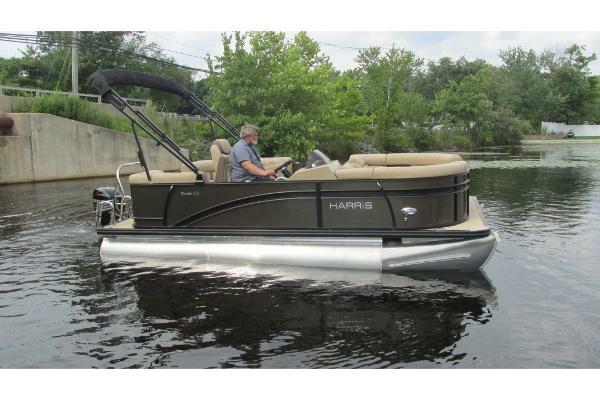 2013 Harris Cruiser 180 Priced w/out Trailer If you think a pontoon boat less than 20 feet in length can’t deliver the excitement, adventures and good times of a larger cruising pontoon, think again. 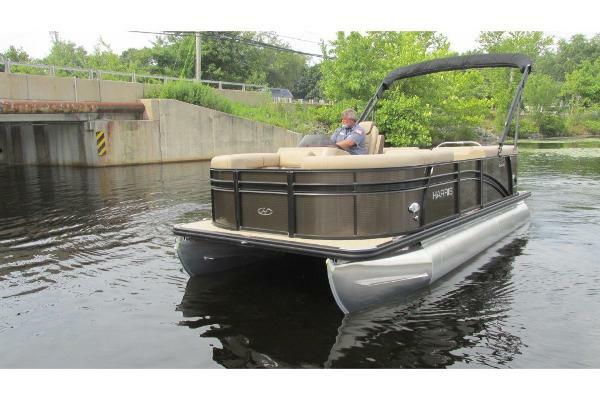 Our Cruiser Series is designed to provide all the above in one stylish, high-tech, beautifully laid-out package. 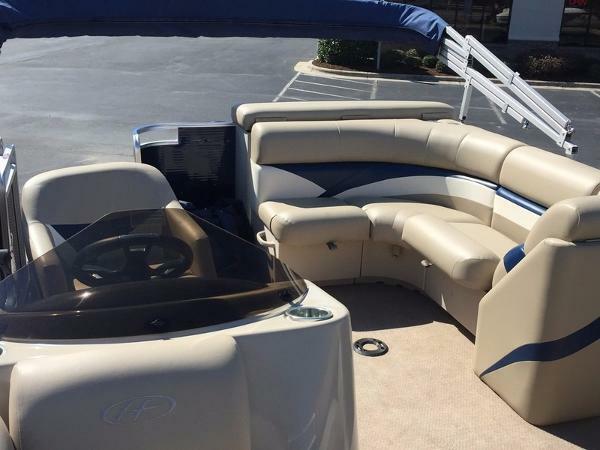 The Cruiser 180, in particular, delivers all the magic, fun and pleasure you seek in one easily accessible, economically savvy model. 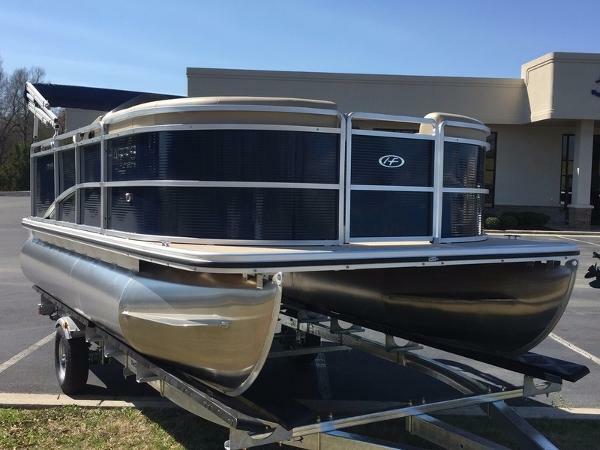 The floorplan incorporates a walk-through gate in the bow, swim platform access to starboard at the stern, two bow lounges and a plush L-shaped aft lounge with sunpad. 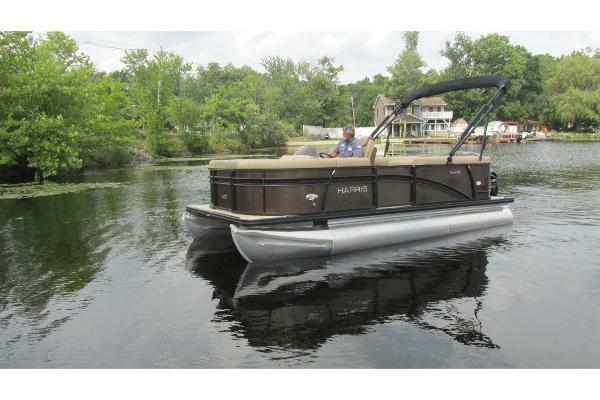 Every seat conceals ample storage, and the thick foam cushions with soft-touch vinyl guarantee luxurious comfort on the water and dockside. And don’t forget, this is a solid performer. 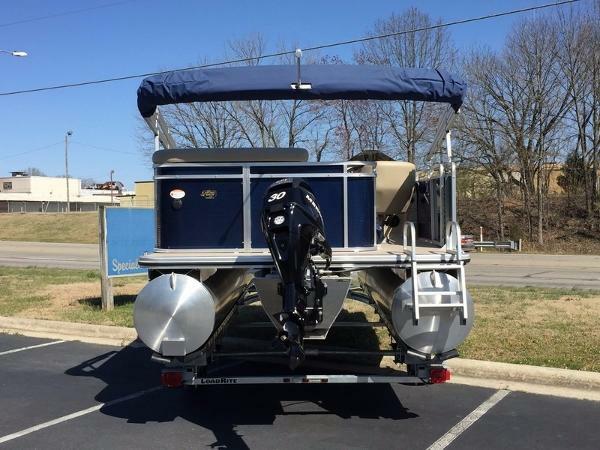 Upgrade your 180 with watersports features such as lifting strakes, ski tow bar, hydraulic steering and rough-water package, or thrill the enthusiastic anglers with an aerated livewell and fishfinder with depthsounder.